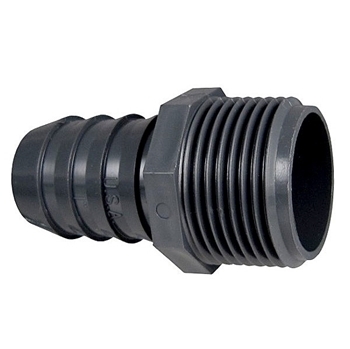 The Male Insert Fitting works great for attaching vinyl tubing to PVC pipe. The 3/4" and larger barbed end works great with PVC, Spiral and Vinyl tubing. Size: 1/2" x 1/2" to 2" x 2"